Bristol. It's forever being voted top ten of the happiest/most liveable/least-London places to live on our occasionally-septic isle. We love Bristol and we love SEO. We love talking digital with our community here. Soooooo, here's our events and meet-ups listing for SEO and digital marketing in Bristol. If you have an event to add, do give us a tinkle. The Bristol WordPress peeps welcome Gavin Strange, Senior Online Designer at Aardman Animations to their November meet-up in the Famous Royal Navy Volunteer. Gavin's worked on a ton of creative projects including the Gromit Unleashed and Shaun In The City art trails. This is a great chance to listen to Gavin share his stories from working on those projects and pick his brains on the process! Free beer and pizza welcomes you at the regular Bristol Digital Analytics Meet-Up. Held at the snazzy JustEat offices, the talk on Tagging, Tracking, Analysing and Optimising starts at 6.15pm with the opportunity to mingle afterwards. This event takes a look at the latest web tools that are changing behaviours and making lives easier in and out of the workplace. The first speaker from Scafld will discuss web apps and tools. Up next is JustEat who will be presenting on how they are taking web tools in another direction with voice ordering. There will also be a panel discussion with Softwire who will be discussing the latest trends in web coding. The speaker this month is Al Barker, Head of UX at Sift Digital. He'll be arguing that it’s no longer enough to focus on just getting the end user experience right. Instead, you must look to educate and transform the staff within your organisation as they are the people who communicate with your users. Collaborate Bristol is a one-day conference which covers the topics of UX, IA and Design . Expect a mix of practical and theoretical views from local experts and international businesses like AOL and Yell. It takes place this year in Bristol's Aquarium. Come and meet others who work in tech at this regular monthly networking sesh. More details (including location) to follow on this regular South West Mobile meet-up. Delivering a twist on their usual events, November's meet-up will take the form of a workshop. Kinneir Dufort will be hosting a series of mini workshops on the evening, which demonstrate how they design experiences that involve physical products using a user-centered design approach. Four rooms will be set up and attendees will spend time in each room, being encouraged to participate in research, innovation and design activities - exciting! October's BWP event steams you through not one, not two, nope, not event three, but FOUR talks. Up first is Zach Goldie who will guide you on creating coherent content for your website. He'll be followed by three ten minute talks covering topics from custom meta fields to UX. Gather at the Famous Royal Navy Volunteer. 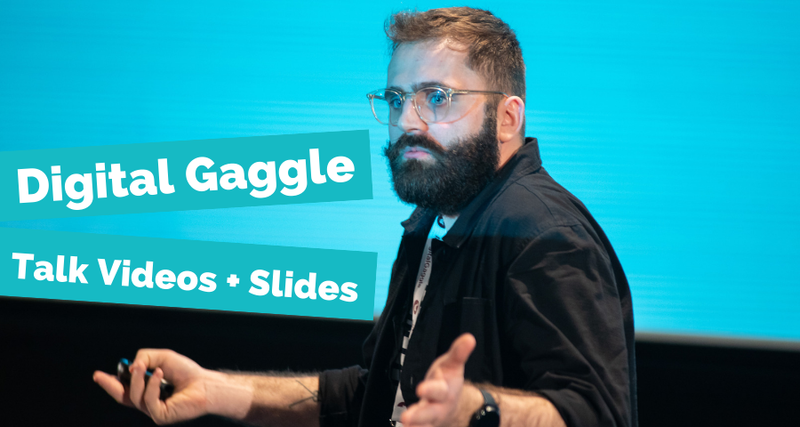 James Caig, Leonie Watson and Jon Payne are just some of the speakers in attendance at the Autumnal Digital Gaggle conference. This month's theme is UX and you'll hear a range of topics covered from website redesign to remote user research. Your free ticket gets you access to this half day event and a free bacon sandwich. How wonderful! Held at the Colston Hall. This workshop session, led by Andy Fuller of Designbull, will help you understand the process behind creating an excellent user interface design for your website or application. You'll also have the chance to define your ideal user and understand how improving your UX can create a more engaging experience for your target audience. Head to the Engine Shed. Lightning talks seems to be quite the trend this month! Still lots of details to be firmed up (including location...and date..hmmmm) but expect to soak up loads of information from the various speakers. #OiConf is an events series with a focus on social and mobile channels held at the Mercure Hotel. There's masterclasses on content marketing, video in social and the rise of chatbots. You'll also get to hear seven inspiring keynotes including IBM, Unilever and Adobe as well as breakfast networking and post-event drinks. The title says it all: an informal meet-up giving you the chance to meet others who work in tech. Two women-only meet-ups join forces this October. Expect a UX focus with lots of friendly faces. This event is hosted at the verrrrrrry cool DeskLodge offices in Bristol. The second GL Business Network event invites you to debate privacy in the Digital Age. There'll even be a live, interactive phone hacking stage performance (oooooh, aaaaaaaaaah) AND you'll dip into the pages of the dark web. It's a free event at the Watershed but only 100 people can attend. Go, go, go! 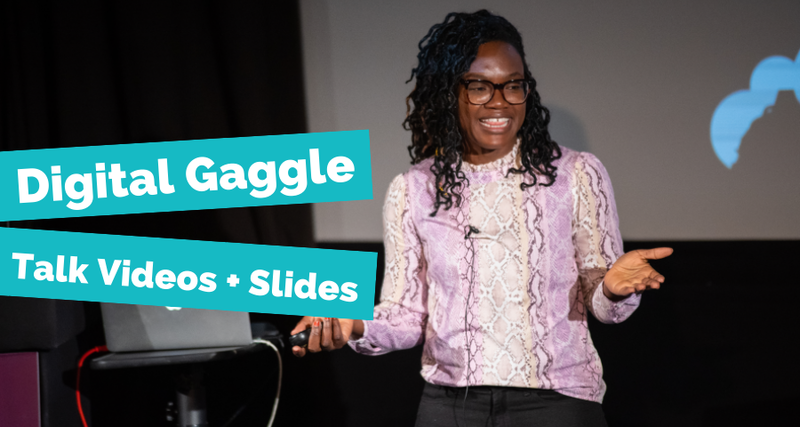 Expect an SEO themed talk on Google Analytics/Google Webmaster tools and a presentation on how to get more control over your website (without coding). As always, lots of opportunities to network with other WordPress peeps. Head to the Famous Royal Navy Volunteer to check it out. Taking place in Redcliff Quay, this meet-up sees Dan Brinnand (UX at Foreshore) take the stage. Dan will discuss why senior management don't engage with data that could be helping them to make better decisions and teach you how you can use storytelling to present your information in a much more engaging way. Do you know the importance of building your Buyer Personas? At this meet-up you'll join a workshop and help create personas for new social media network, Helpfulpeeps. 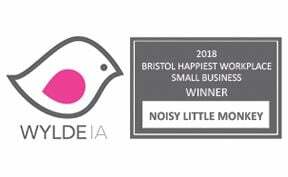 Helping out a Bristol-based business and learning some skills along the way? Aren't you nice. This event is held at the new location of the Famous Royal Navy Volunteer on King Street. This one is for the ladies only! This meet-up promises lots of networking and experience-sharing between women working in UX. Katherine Garzonis (all the way from London) will be doing a talk on redesigning mental health services using UX principles. Have you been building something in WordPress? This event does what it says on the tin. Show off what you've been creating, get it tested, ask a question and even get some feedback. Pretty handy, right? A chance to get chatty with other analytics bods in Bristol, this time talking about connecting Digital Analytics with Business Intelligence (ooooh, fancy). The event follows the usual set-up: talk at 6.15pm followed by some mingling. Chris will talk about what Google Cloud Platform is, a bit about its history, how it’s implemented, how they currently support .NET platform and developers, and what’s planned for the future. At the time of writing, the location for August's meet-up is still TBC. Expect the usual SWMobile meet-up structure: a handful of excellent speakers, the chance to discover new ideas and a place to learn and share from your experiences with other great minds in the tech industry. We usually meet for a chat, networking, general conversation, and we have a UX design related slide presentation/talk/workshop with time for questions etc. At time of writing, UX Bristol hadn't published the schedule for this summer's event, but with last year's conference incorporating such intriguing themes as 'hypothesis sketching', 'icon consequences' and 'Robert De Niro: UX Hero' I'd give them a follow or keep checking their site for deets in the approach to ticket sales in May. The roles of marketing and engineering are colliding to focus on customer experience. ‘Growth Hackers’ are a new breed of technical marketers, utilising emerging technology in an analytical, creative and tenacious manor. A monthly marketing meet up with a digital focus, in a cool bar with nibbles and booze - this month the speaker is Managing Director of Prolific Solutions, Paula Horton. 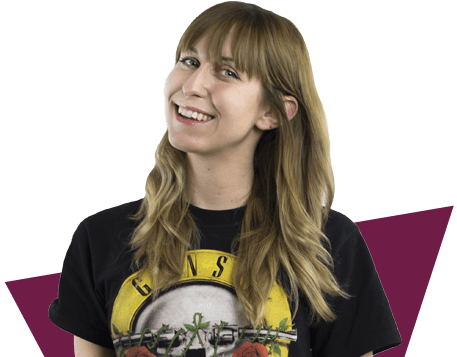 She knows a thing or two about converting leads into sales and, because she’s just so darn lovely, she’s going to tell you exactly how she does it. The 16th meetup is CRO themed, so we will discuss how to continually optimise. There will be a short talk at 6:15 and then the opportunity to mingle. A meet up for the geekier end of our circle of friends, brilliant gathering to meet clever people and eat pizza. This month they're focusing on some of the newer programming paradigms in mobile reactive programming. The 19th meetup is SEO themed, so we will discuss how to report & improve SEO performance. Want your event listed here? Get in touch - we'll get you sorted.